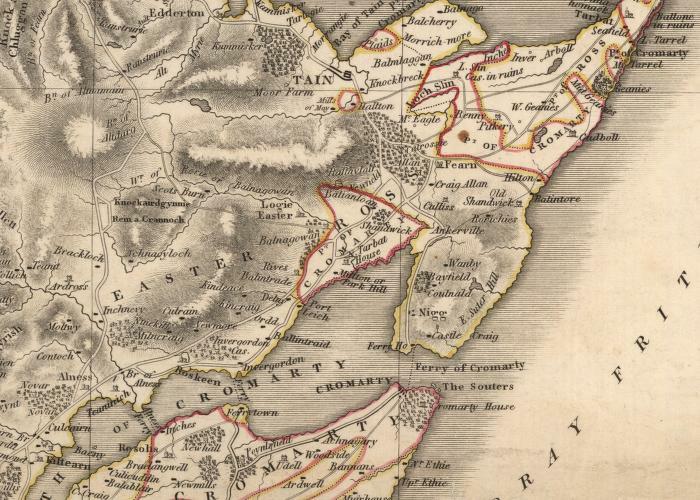 Cromarty and surrounding area from a map dated 1826. A number of areas bounded in red also bear the name Cromarty so presumably these belonged the Laird? Very interesting website! The areas bounded in red signify areas within the county of Cromarty, the lands of Viscount Tarbat (from 1703 George, Earl of Cromartie), which about 1685 were erected into the county of that name, based on the principle of the old sheriffdom of Cromarty.